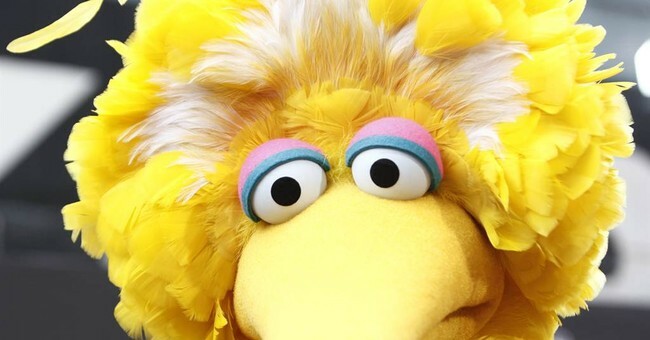 President Donald Trump wants Big Bird’s head on a platter. The Left is in an uproar about President Trump’s budget proposal that cuts spending to National Public Radio (NPR), the Corporation for Public Broadcasting (CPB), and Public Broadcasting Service (PBS) which among other things funnels money to programs like Sesame Street. If I understand the complex web of these not-for-profits funded mostly by federal tax dollars, it works like this: The government fleeces the taxpayer. After taking large chunks for itself, the government - through overpaid bureaucrats - then takes some of the spoils and gives it to CPB. The CPB, after paying nice salaries to its employees, then grants monies to local public stations who also receive contributions from individuals, private foundations and state and local governments. In turn, the local stations purchase programming like Sesame Street. It’s complicated, as are most fleecing schemes, but that’s somewhat close to how it works. The real question is why do they need taxpayer funding when every other media outlet in the country pays its own way? The answer is simple and provides a perfect example of how the Left operates. They need taxpayer money to produce mediocre shows (that no one else would pay good money to watch) that promote their worldview. Seriously, who gives a rat’s rear end about a fifty-two-minute documentary on the Sonoran Desert? “But, but…it was an official selection at the Green Screen German Film Festival in 2013!” exclaims Leo the Leftist. Spare me your tears. You want it? You pay for it! Let’s look at the numbers. According to the IRS Form 990, in 2014, the CPB had $461,414,619 in revenue and maintained $61,560,977 in assets - hardly a destitute organization in need of taxpayer dollars to survive. Forty-nine employees made salaries over $100,000, the top being CEO Patricia de Stacy Harrison who earned a reported $418,574 in salary and other compensation. Of their total revenue of $461,414,619, all but $3,694,770 came from government grants aka, the taxpayer. Less than 1% came from other sources. Even better was the Sesame Street Workshop, the tax-exempt entity that controls Big Bird and other notable characters. They brought in $94,942,271, of which $5,092,314 was investment income. Are you wondering the value of investments required to generate such income? Answer: $86,463,542 in publicly traded securities, $38,723,000 in hedge funds, $10,380,001 in private equity funds, and a paltry $897,000 in opportunistic funds. That’s a portfolio worth over $135,000,000! As a side note, I spent twelve years in the investment industry and never heard of “opportunistic funds.” Why does an entity such as Sesame Street Workshop need such a nest egg? Good question! In 2015, Home Box Office (HBO) purchased the rights to exclusively air new episodes of Sesame Street for the first nine months after production. Little changed within the Sesame Street Workshop organization other than that they were able to increase the number of shows produced. They still receive government grants according to their own website. In case you’re wondering, Sesame Workshop is a much better place to work. In 2014, 125 employees made over $100,000. I wonder how much Big Bird and Oscar made? The answer probably lies somewhere in the royalty income of $37,359,009 the Workshop earned. In 2013, the Sesame Street bunch paid the most to employee Joseph Maddarino, who earned a whopping $854,138 as a “writer-performer.” Nice gig! The most interesting numbers are what they spent in foreign lands. Central America and the Caribbean got $46,730,725, while the Sub Saharan Africans only received $3,337,636. South Asia got $5,016,141 and another $460,941. As an auditor, I would have asked why it was listed twice, but I don’t work for the IRS who I’m sure loves Oscar the Grouch and has been busy the last eight years going after conservative groups. Other areas received amounts ranging from a few hundred thousand to a couple of million. The IRS Form 990 does not describe how these expenses were used. It would take an army of accountants to unwind the hundreds upon hundreds of pages of IRS paperwork between NPR, CPB, PBS, Sesame Street Workshop, and a myriad of other related organizations all sucking off the government teat. Who knows what they would find? If the world needs smarmy radio announcers, documentaries on how bees make honey, and British dramas, then someone will figure out a way to make a buck from it without having to fleece the American taxpayer in the process. Editor's Note: An earlier version of this article mistakenly reported that Sesame Workshop was produced by CPB. Changes have been made to correct this error. We apologize for any confusion.